Point Shot: Avalanche and Panthers collide with hottest powerplays since November 1 - The Point Data-driven hockey storytelling that gets right to the point. 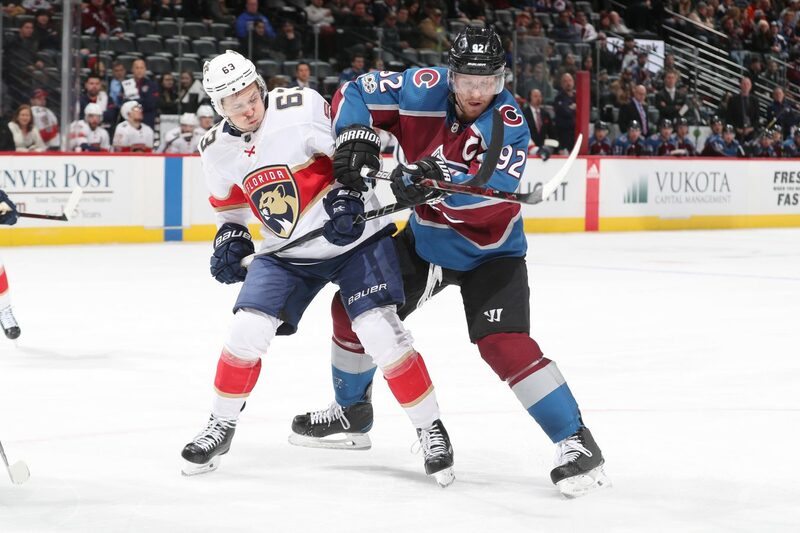 The Colorado Avalanche continue their road trip tonight in Sunrise, Florida where they take on the Florida Panthers in a battle between the league’s best power play and one of the league’s hottest power plays. The Panthers power play has been on fire lately with the second best power play percentage in the league since November 1st at 34.9%. The only power play that’s been better over that time is that of the Avs who continued their season dominance with a 40.9% power play percentage since the start of November. The Avs have continued to get production from both their units getting 6 goals from their second unit out of the 18 goals they’ve scored. Both units rip the puck around with lots of movement and find ways to get looks from all over the ice. They have a few set plays but for the most part, they just let their skill shine and find ways to create 2 on 1 opportunities. The Panthers, on the other hand, were getting solid production from their second unit but since Vincent Trocheck went down November 19th and Mike Hoffman moved up to the top unit, their second unit hasn’t been nearly as effective. Luckily for them, the top unit hasn’t missed a beat and if anything they’ve been even better. Florida’s top unit of Hoffman, Keith Yandle, Jonathan Huberdeau, Aleksander Barkov, and Evgenii Dadonov found instant chemistry and have been a top 5 unit in our powerplay efficiency stat (link) for the last few weeks, averaging 5.6 goals per 20 minutes of ice-time. Yandle’s been leading the way with 17 power play points which ties him for the league lead with Nikita Kucherov. The Panthers primary option is Yandle passing to Hoffman for the one-timer but when that gets taken away they’re good at finding Barkov down low who tends to feed Dadonov in the slot. 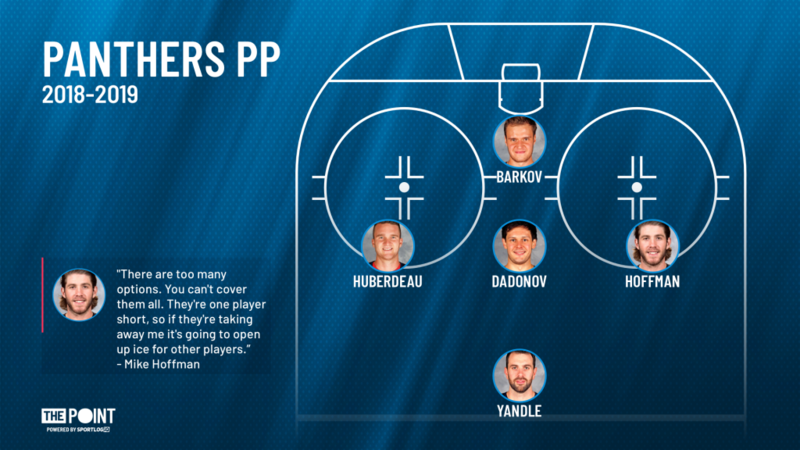 They also have Huberdeau looking for the cross-ice play to Hoffman or high-tips to Dadonov. They have a lot of options and are doing a great job of staying patient to find the open look. Tonight’s game could very well be decided by special teams but regardless it should be a fun game to watch as two teams with elite young talent matchup against each other. The obvious key here, stay out of the box. Both teams are averaging over 3 penalties per game so some power play time should definitely be expected.